Oscars night is just beginning, but one of the early arrivals already set the bar pretty high. 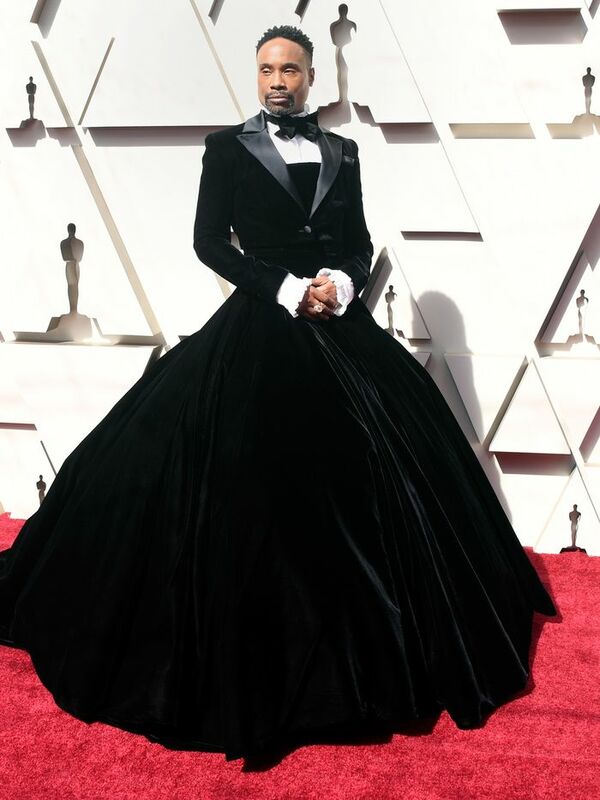 Billy Porter wore a custom Christian Siriano tuxedo gown that quickly went viral, and we're here for the head-turning statement. The Pose actor is an ABC red carpet correspondent for the Oscars this year, alongside Ashley Graham and Elaine Welteroth, so expect his velvet gown to get plenty of airtime. "What an honor it was to create this moment," Siriano tweeted alongside a video of Porter twirling on the red carpet. Of course, Siriano is no stranger to the red carpet and has created custom looks for the likes of Lady Gaga, Amy Adams, Janelle Monáe, Leslie Jones, and scores of other celebrities. Scroll down to see Porter's epic tuxedo dress at the 2019 Oscars, and stay tuned for more coverage of Hollywood's biggest night. Next, the four trends everyone always wears to Oscars after-parties.